Of prime importance to us is the opportunity for customers to commission transcriptions, regardless of their size or complexity. 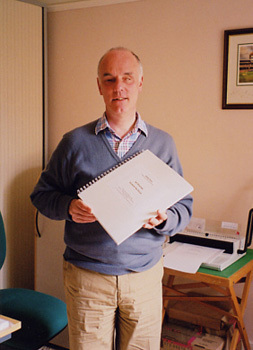 Recent transcriptions include: a twentieth-century work for two pianos; an instrumental part for a popular band piece; a vocal part from a large choral and orchestral work; a brochure containing information about forthcoming concerts; a libretto; specimen tests for an examination board; orchestral parts. Golden Chord does not receive any external funding, therefore charges reflect the actual cost of production. In order to commission a new work to be transcribed, customers may wish to seek sources of funding. For students, these could include Disabled Students Allowance or a Local Education Authority grant. For those with employment and professional needs, these could be government schemes or other grant applications. To discuss your requirements - including estimates or quotations - please contact us.